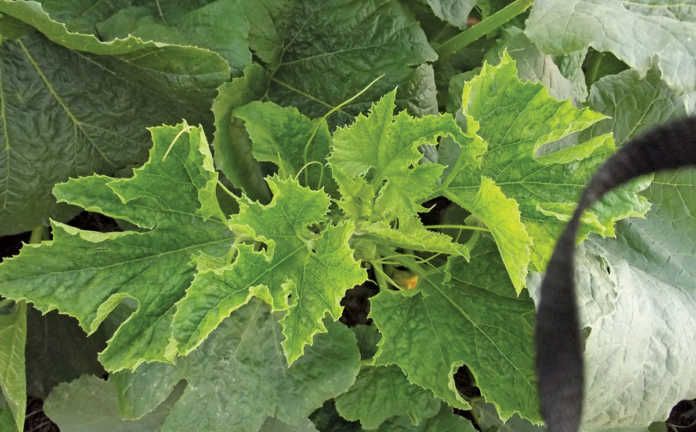 Apart from powdery mildew (discussed in last week’s column), viruses are the next challenge that almost every cucurbit grower will face at some stage. Typical virus symptoms: blotchy leaves, vein clearing and possible distortion. The cucumber mosaic virus (CMV). The zucchini yellow mosaic virus (ZYMV). The watermelon mosaic virus 2 (WMV-2). The papaya ringspot virus (PRSV, also known as the watermelon mosaic virus-1). However, the specific virus that you are dealing with is more or less academic, as they are all spread in exactly the same way. In addition, they all do similar, substantial damage if the infection strikes at an early stage of plant development. In fact, it’s virtually impossible to determine the virus merely by looking at the symptoms. Most of the cucurbits planted in this country are susceptible to all the above viruses. 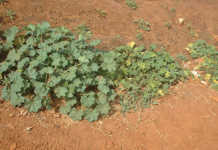 Baby marrows are the exception – there are a number of varieties resistant to one or more viruses. Note, however, that this is resistance, not ‘immunity’. These are entirely different. With immunity, there will be no sign of the virus whatsoever. When a virus is present, a variety claiming ‘resistance’ may, from a distance, look far better to the susceptible variety growing alongside. However, when you examine the fruit from both varieties, they might be equally unmarketable. There are, however, varieties where the resistance is such that symptoms are delayed, or lesser symptoms are seen on the leaves, but the fruit looks unaffected. This is a big advantage to the farmer. Even if the yield is slightly lower from the time of infection onwards, it does mean much higher production. Remember, though, such resistant plants will have the virus in their sap and so can still infect any susceptible varieties in the area. In addition to this, aphids are attracted to a crop by leaf colour and other factors. As a result, some varieties with equal virus susceptibility will be more attractive to aphids and therefore more susceptible to initial infestation. Therefore, these growers plan to grow each production-set of baby marrows as far as possible from one another so as to delay the introduction of the virus to the new land. 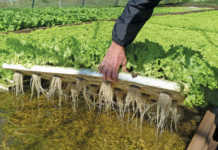 They also do frequent plantings, knowing that they will, at some stage, have to stop harvesting on account of the virus. Sanitation is also important. The pickers should avoid harvesting an infected land and directly thereafter a new clean land. In cold, frosty areas, there is usually a few months’ grace before the first symptoms are likely to occur. The later in the season, the greater the chance of a virus. In warmer areas, the virus will start sooner. In subtropical areas, there’s usually a break in production during the hotter months of the year, and planting starts showing in late summer. The virus then starts some time after the first plantings. 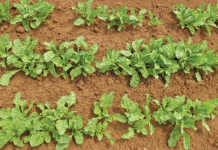 As no product can be sprayed to cure an infected plant, the only options are to use virus-resistant varieties or apply practices that will slow down the spread of the virus. These will be discussed next week.